This 12V Smart Digital Battery Tester Voltmeter and Alternator Analyzer provides a quick reading to determine if a vehicle battery needs a jump or replacing. Smart design and easy operation. Works on both 6 and 12 volt batteries. Reads voltages from 4.00 up to 20.00 volts. With 50A battery clamps for quick connection. Different color LED indicates battery or alternator status. It's the easiest and smartest tester for daily battery and engine system diagnosis. It has reverse-hookup and over-voltage protection, making it safe and simple to use. 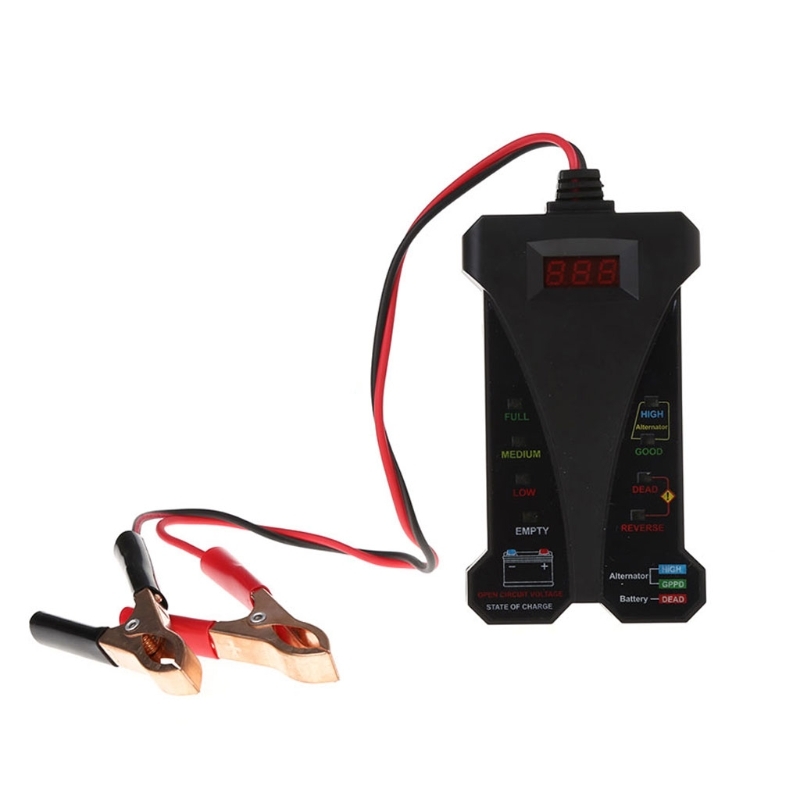 With a three-character lighted digital display, this battery voltage tester is easy to read with accuracy. Looking for ideal Car Battery Tester Manufacturer & supplier ? We have a wide selection at great prices to help you get creative. All the Voltmeter Alternator Analyzer are quality guaranteed. We are China Origin Factory of 12V 24V Battery Health Check. If you have any question, please feel free to contact us.